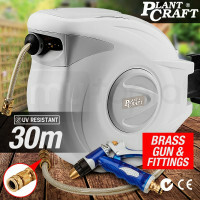 Ensure that your garden looks healthy and vibrant all year round with PlantCraft’s range of garden hoses. Constructed of durable materials, these UV-resistant hoses are sturdy and can last longer compared to the other garden hoses on the market. Available in lengths of 10, 20 and 30 metres, these gardening hoses allow homeowners to reach all of the areas of their garden. With an inbuilt handle, PlantCraft Garden Hoses can be easily transported to keep your lawns hydrated. 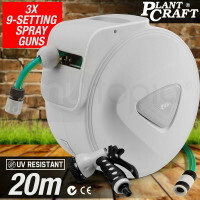 To sweeten the deal, all PlantCraft Garden Hoses come with high-quality spray guns so users can easily adjust the water pressure from the hoses. Plant Craft ensures that each reel comes with a 180-degree swivel mountable bracket and fittings so they are conveniently ready to be used. Storage will not be a problem as the reels are equipped with a tangle-free auto rewind system, a rubber stop and an incremental feed lock so homeowners can instantly secure the hoses every after use. 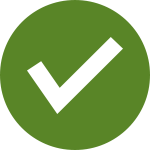 Complete your gardening experience with top-of-the-line gardening and outdoor equipment from Mytopia. 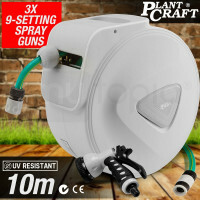 Pair your PlantCraft Hoses with Fountain Pumps, Compost Bins and Garden Lights to get the job perfectly done. Purchase any of these retractable garden hoses now and get a warranty on us!